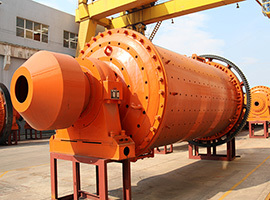 Processing ability:0.5-500t/h Feeding size:≤25mm Applied material: cement, silicate, new-type building material, refractory material, fertilizer, ore dressing of ferrous metal and non-ferrous metal, glass ceramics, etc. 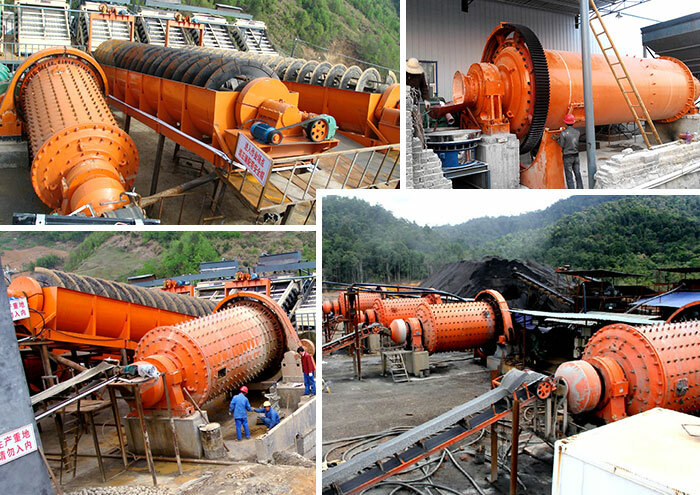 The cone ball mill made by the cone ball mill machine manufacturer of Henan Fote is the key equipment for further grinding process of the crushed materials. 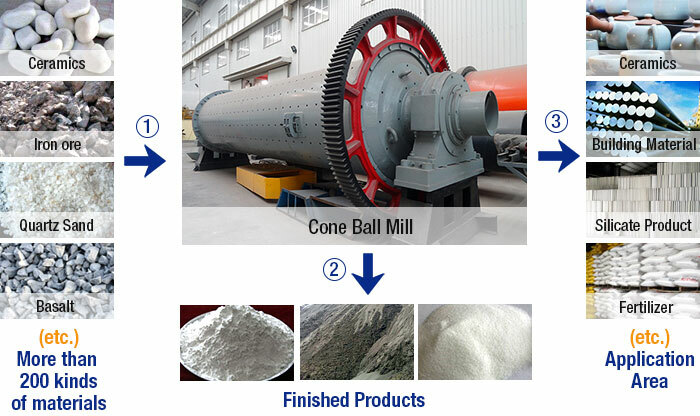 Cone ball mill is widely used to grind wet or dry materials in the industries of cement, silicate products, new construction materials, refractory matter, chemical engineering, non-ferrous and ferrous metals and ceramics, etc. 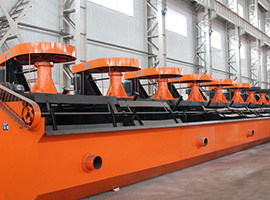 Our cone ball mill price is quite reasonable and our cone ball mills are popular among customers. 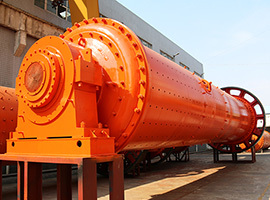 The cone ball mill is made up of the feeder, discharging device, rotary part and transmission engine (reducer, small transmission gear, electrical machine, electronic control). 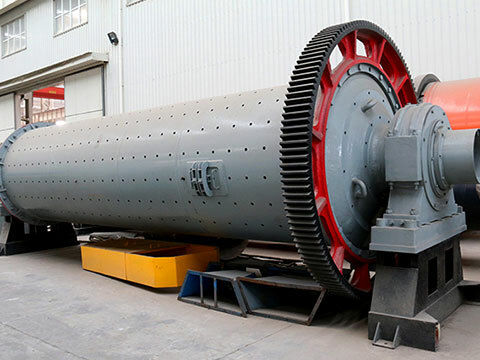 The cone ball mill made by the Chinese ball grinder manufacturer is a grid shaped one made up of a horizontal type cylinder rotating device, gear drive and two cabins. Materials enter the first cabin via the feeding device across the hollow shaft uniformly. In the first cabin, there is a ladder scale board or a ripple scale board with different steel balls which will be lifted to certain height in the effect of centrifugal force produced by the rotating cylinder. Then the balls fall to impact and grind the materials. After the rough grinding process, materials enter the second cabin through the single layer cabin separating board. There is a scale board with steel balls in the second cabin which will grind materials. 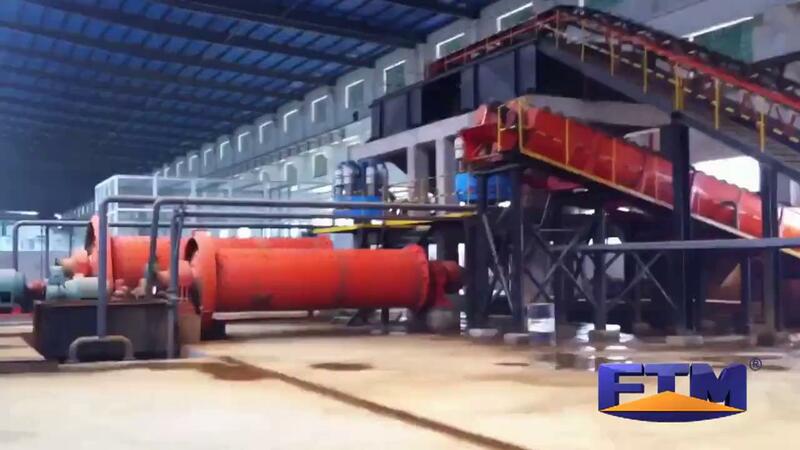 The finished powder materials are discharged from the unloading plate, thus finishing the grinding process.